Playing with fire? How to stay safe! There is a painful cost/benefit analysis that has to be done – many bipolar medications are dangerous for the fetus, but a mom going off her medication MUST have a back-up plan. Both pregnancy and the aftermath, known as postpartum, are high risk times for mood instability and cycling, even in women with no bipolar history. For women who have been ill in the past, rates of relapse into bipolar mania and psychosis are estimated at 50% to 75% respectively. Even the most common of stressors with a new baby, such as lack of sleep, can catapult a bipolar woman into mania. Again, a treatment plan for your bipolar pregnancy is a MUST. In a hurry? This summary on Bipolar Pregnancy gives a quick and authoritative overview of key issues in bipolar pregnancy. It comes from The Black Dog Institute – a leading health organization specializing in bipolar research and support. What is a treatment plan? It is a plan for the whole nine months of pregnancy, usually divided up by weeks. This plan attempts to cover everything that may come up during the pregnancy, based on what we know about bipolar pregnancy. The treatment plan involves not just the mother, but also any significant other, or other family and friends who will be involved. It needs to be prepared in consultation with all relevant medical experts who help manage your bipolar, such as psychiatrist, obstetrician and family doctor. increase the level of support through psychotherapy. If work is stressful then planning time off could be in the plan as pregnancy itself is stressful and can be enough to trigger an episode. The plan should start with some detective work into family history as this is a strong indicator of possible postpartum depression or psychosis. If these risks are strong the medication strategy will probably be effected. Based on everything we know about bipolar and pregnancy, the plan should be detailed and specific, so there is a definite strategy planned for each week – for example resuming lithium in week 9 is there are signs of relapse. 1. LITHIUM AT THE TIME OF CONCEPTION: There are no known negative consequences to the fetus if the father or mother were taking lithium at the time of conception. 2. THE FIRST 3 MONTHS (1st trimester): There is a risk, which today most experts believe to be quite low, to the fetus if lithium is taken in the first 3 months of pregnancy. The main risk, which seems to occur in about 1 in 2000 births, is of heart and blood vessel defects. 3. FROM 3 – 9 MONTHS: Restarting lithium after the first trimester appears to be safe for the fetus. 4. BREASTFEEDING: It is better NOT to breastfeed while you are taking lithium. Lithium passes through a woman’s body into her breast milk. A baby drinking breast milk from a woman taking lithium would also be taking lithium. Lithium is unsafe for newborn babies. Opinions, even amongst experts, about bipolar pregnancy vary. Goodwin and Jamison suggest that the risk to the baby from a manic or postpartum psychotic mother is probably higher than the risks associated with use of lithium during pregnancy, especially for women whose history suggests a high risk of relapse when off lithium for even a few months. A good starting point is the FDA’s Current Categories for Drug Use in Pregnancy. 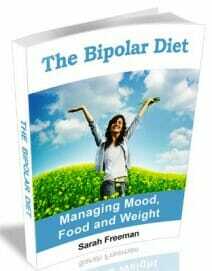 The categories are copied below, along with details on some drugs relevant to bipolar and pregnancy. A – Adequate, well-controlled studies in pregnant women have not shown an increased risk of fetal abnormalities. CLASS A includes the thyroid hormone. B – Animal studies have revealed no evidence of harm to the fetus, however, there are no adequate and well-controlled studies in pregnant women. Animal studies have shown an adverse effect, but adequate and well-controlled studies in pregnant women have failed to demonstrate a risk to the fetus. C – Animal studies have shown an adverse effect and there are no adequate and well-controlled studies in pregnant women. No animal studies have been conducted and there are no adequate and well-controlled studies in pregnant women. CLASS C includes SSRIs such as Prozac, Zoloft, Celexa, and Lexapro. Also contains Abilify, Effexor, Cymbalta, Tegretol, Trileptal, Paxil, Klonopin, Neurontin, and Lamictal. D – Studies, adequate well-controlled or observational, in pregnant women have demonstrated a risk to the fetus. However, the benefits of therapy may outweigh the potential risk. I am not one of those people who believe that having bipolar disorder disqualifies someone from being a parent! Of course, NOTHING to do with bipolar disorder and pregnancy is going to be as easy as simply looking up drugs on a chart! In other words, the FDA categories use old, sometimes outdated data. To accurately decide on the risks for medication in bipolar disorder and pregnancy you need more up to date information. earlier, when lithium is taken is significant – the risk decreases after the first trimester. All I can say is that if you want to be even reasonably informed about the risks involved for medication in bipolar and pregnancy, YOU MUST see a physician who is an expert in this area and consult an up to date and authoritative text book such as Frederick K. Goodwin & Kay Redfield Jamison Manic-Depressive Illness: Bipolar Disorders and Recurrent Depression, (2nd ed), Oxford University Press, 2007. For a great overview of postpartum depression, see Taking Care of Both of You: Understanding Mood Changes After the Birth of Your Baby. This is comprehensive but easy to read information from DBSA – the Depression and Bipolar Support Alliance. The postpartum period is a time for greatly increased risk of relapse, or even onset of more severe bipolar episodes. FAMILY HISTORY is very important! One study of bipolar women found that those with a family history of postpartum psychosis were MORE THAN 6 TIMES MORE LIKELY to have a postpartum episode than those without such a family history. Doing some research into your family history should be an important part of making your treatment plan because this is a scary statistic that will obviously impact decisions such as whether or not to stay on medication. This clustering of postpartum problems in bipolar families is an interesting aspect of bipolar pregnancy that highlights the need for you to DO SOME DETECTIVE WORK – it will be worth it. Both Jim Phelps, M.D. in Why Am I Still Depressed, and Wes Burgess, M.D., Ph.D in The Bipolar Handbook, warn bipolar people against the dangers of taking hormones such as progesterone and estrogen. This is because progesterone and estrogen can both trigger mood swings. There is some evidence of estrogen also being possibly beneficial, but the evidence is contradictory and more research needs to be done. As oral contraceptives contain estrogen and progesterone, Dr Burgess suggests that women with bipolar disorder consider alternatives such as condoms, IUDs or diaphragms. As you can see, the challenges in bipolar and pregnancy begin BEFORE conception, and require women to talk to their doctors and plan. Should bipolar people have babies? How is that for a provocative headline? However, many people honestly believe that bipolar people should not conceive in the first place. Are you one of them? Either way, you should read on . . . . I first started thinking about bipolar and pregnancy when I read an unforgettable passage in Kay Redfield Jamison’s wonderful book, An Unquiet Mind. Dr Jamison, who to put it mildly, is a lot better informed about bipolar disorder than this physician, tells him to go to hell and walks out of his surgery. (She also breaks down sobbing and shaking in her car afterwards, and feels utterly humiliated by the whole encounter.) Dr Jamison’s perspective, which I share, is that she has lead, on balance, a wonderful life, despite the sometimes horrors of bipolar disorder. She feels grateful for being born and cannot imagine not wanting to pass the gift of life on to someone else. My sentiments exactly! Bipolar and pregnancy is a controversial topic on which I have heard people with and without bipolar themselves argue passionately. I’m 23 and newly engaged. My fiancé’ and I have been talking about the possibility of having kids; more him than me. He’s such a great godfather, brother, son, fiancé’, all the above…but I don’t know if I want kids. Mainly because of my type 1 bipolar disorder. I always would bring up: What if I can’t have kids (infertile; imagine how I’ll take that!)? What if I get postpartum and can’t love my baby? What if I am a bad mom? And worse, what if my baby gets my illness? I’m already a lot to handle. I’ve been off my meds for almost 1 year and only just started relapsing. Crying spells and deep depression…what if this happens during my fiancé? Too much mind racing and I’m just not sure if I can give my love of my life what he wants…what I want..
Firstly, I don’t confess to be any expert in any way shape or form, but seeing as your comment has gone unanswered i will post a response based partly on my limited knowledge of bipolar, and a lot from my heart. My wife was diagnosed with bipolar today, and I still love her with all my heart. We both want kids, which sounds a little bit different to your situation. With support and planning, you can manage your bipolar and have a child. If it is the path you choose, do your research, consult your doctor, psychiatrist and get some expert advice because it is possible to have a child and manage your mood. Over the coming weeks, my wife and I will be researching, planning and working together on managing our expectations as parents and the coping mechanisms we will both need. We have discussed adoption as well, it sounds like you love your partner very much and I am sure that could extend to an adopted child who needs it too. Most importantly, be honest with yourself and with your husband. I wish you all the best and hope you find the love and support from your husband family and friends through your journey. I’m currently 7 weeks pregnant with my 2nd. I’m bipolar type 1. I’m crying all the time n my bf says I can be distant. And not to mention I’m going thru a divorce n I have ptsd, borderline personality disorder n anxiety with memory loss. I want my baby so much, but I’m definitely scared that post-partum depression is in my future. What if I can’t love the baby, what if I get so down i can’t do for the child or myself. I’ve never been that low, but I feel something emotionally big coming. I’m scared n I feel alone in a room full of people n all I want is help.